Roma streams on Netflix on Friday, Dec. 14. If you've talked to anyone who has seen Alfonso Cuarón's Roma, they've probably told you that you've just gotta see it in the theater. It's the best-reviewed film of the year, an intimate, meditative, occasionally harrowing portrait of a young woman working as a maid for an upper-class family amidst the political upheaval of early 1970s Mexico. The movie's rich, textured images are designed to be viewed on a massive screen. 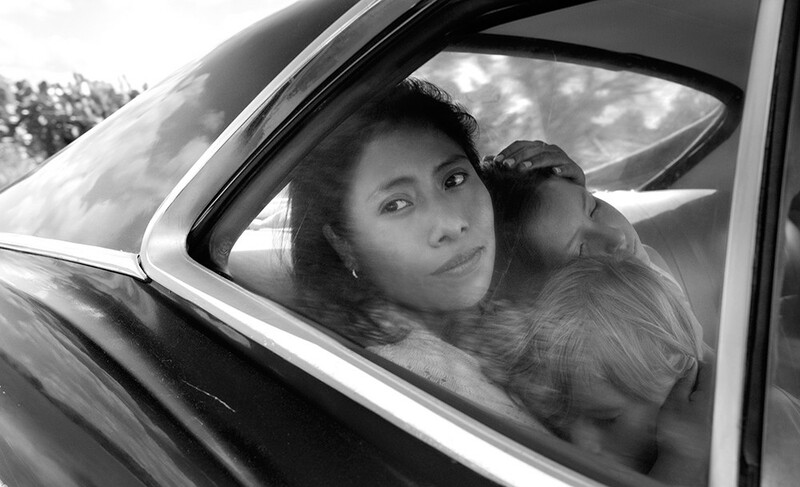 Roma is a Netflix release (it starts streaming Friday), and although it's receiving the widest theatrical rollout of the service's films thus far, it's screening almost exclusively in big cities. The odds it'll play Spokane are, basically, nil. We small-town plebeians will just have to settle for watching on our couches. That might not seem like a big deal, but Roma, like Cuarón's previous Gravity, demands the sort of immersion you can't replicate at home. And I should know: I went to Seattle last weekend specifically to see the movie at the Cinerama theater. With Cuarón's stunning visuals towering over me, I fell head over heels in love with Roma. It was an overwhelming experience, one I'm happy I had. So we arrive back at the great Catch-22 of Netflix: They're producing interesting films and making them instantly available, but should you want to see its most visually stunning features on a big screen, you're probably out of luck. Credit must be paid to Netflix CEO Ted Sarandos for financing the distribution of a vision as bold and uncompromised as Roma. But he can also take credit for this recent quote about his subscribers: "They're gonna love [Roma] on their phone. ... Most people see most movies that change their lives at home." OK, that last part is true: I've never seen most of my favorite movies on a big screen. But at least give an epic movie the courtesy of a screen that isn't the size of a Pop-Tart. On the opposite side are elitist critics who are ride-or-die for the big screen experience: If you didn't see Roma on a big screen, did you really see it? I did, but I had to drive more than 500 miles through a snowstorm to see it how Cuarón intended. Most people aren't crazy enough to do that. The original print version of this article was headlined "Roma and the Netflix Conundrum"